The former chairman of the Federal Reserve Ben Bernanke recently said the “the greatest forces in Washington are ideas, and people prepared to act on those ideas.” (2013: 5). The following research demonstrates this power of ideas. Much of the research explaining the generosity of antipoverty programs has focused on the perceived deservingness of the poor. While the notion of deservingness is useful in explaining the scope and general outlines of policy, it does not help us understand the development and change of the specific policy instruments that constitute antipoverty policies, asserts Joshua Guetzkow in his interesting (open access) paper “Beyond Deservingness Congressional Discourse on Poverty, 1964—1996“. Guetzkow argues that to better understand the development of antipoverty policy tools aimed at changing the behavior of the poor, we need to analyze how policy elites frame both the causes of poverty and the nature of the poor. He illustrates the utility of this approach by analyzing the United States congressional antipoverty discourse in two periods, comparing the “Great Society” period of 1964 to 1968 (“War on Poverty” era, when U.S. social policy was at its zenith in terms of scope and generosity) and the Neoliberal era of 1981 to 1996 (a period of sustained attack on the U.S. welfare system that began with the Reagan presidency in 1981 and reached its apotheosis in the PRWORA of 1996). The research shows how policymakers’ frames about the causes of poverty and about the capacities and desires of the poor shaped the specific antipoverty policies adopted in each period. In the 1960s, poverty was seen to be caused by the breakdown of the community, which itself was the result of blocked and limited opportunities. In the 1980s, and even more so in the 1990s, poverty came to be framed as caused by the breakdown of the family, which itself was the result of the generosity of the welfare system. The poor in the 1960s were framed as hopeless, helpless victims of discrimination and economic transformations; in the 1980s and 1990s, the poor were viewed as rational actors who lacked the values that would guide them to make the right choices. 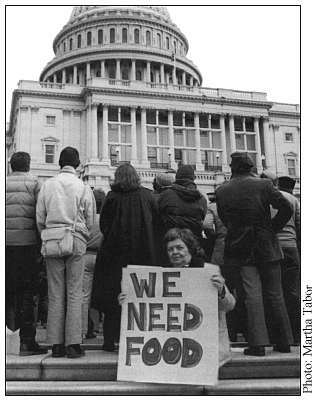 In the 1960s, society was to blame for poverty, and it was government’s duty to help by instilling hope, providing skills, and rebuilding communities; in the 1980s and 1990s, individuals were to blame for poverty, and it was government’s task to enforce and impose the right values by helping—in fact, forcing—people to help themselves. Of course, the conceptions of policymakers are only one piece of a larger puzzle for understanding policy making that includes policy windows, political opportunities, policy feedbacks, and institutional inertia. One of the main questions is- Where do policymakers get their ideas about the causes of poverty and the poor? In the 1960s, suggests Guetzkow, many of their ideas seemed to be influenced by then-popular theories in social science. In the later period, they appear to have been influenced more by the conceptions promoted by think tanks like the Heritage Foundation or the Manhattan Institute. Clearly, the Reagan administration played a role in amplifying certain ways of thinking about the problems, but they faced initial resistance from Democrats and some Republicans. See more entries in this blog on the power of ideas anf the rise of the Neoliberalism in the United States. This entry was posted in Papers and tagged ideas, inequality, neoliberalism, policy, politics, poverty, United States. Bookmark the permalink. Is it possible that as the social sciences were progressing, they tended naturally towards a fragmented identity-politics worldview; this fragmented worldview, where every identity is based against another, and not in cooperation with, made possible the sort of disjunctive representations of the Welfare Queen ideal and the Welfare Recipient reality? Post-War social sciences exalted the individual, or human capacity, to such a degree that every minute interaction could be construed an oppression, so that we were eventually so involved with sucking our own personal, free utility out of everything and everyone that we became even more individualized. We lost the ability to relate to one another but through the enduring of common oppression. Oppression becomes the social currency so much that even the people in positions to oppress claim victimhood. And so, since the world is m oyster to consume individually, as I see fit, per my freely expressed, decolonized Self, all that which I do must provide personal utility. If I have an identity as a “haver,” complete with tribal affiliation and agreed upon characteristics, and the climate is to act identity against identity, then it seems natural to follow that the cooperative community approach would weaken for the benefit of nearshighted self-interest. Is this a valid hypothesis?